ISBN 9780193405721. 10.5 x 7.5 inches. 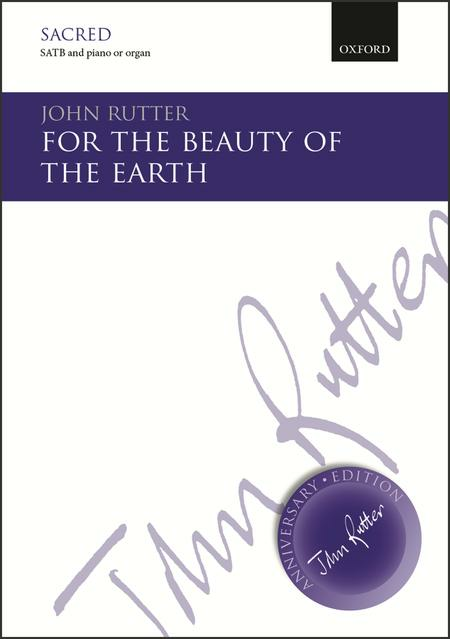 In this classic Rutter anthem the flowing choral melodies perfectly complement the positive message of the well-known thanksgiving text by F. S. Pierpoint. 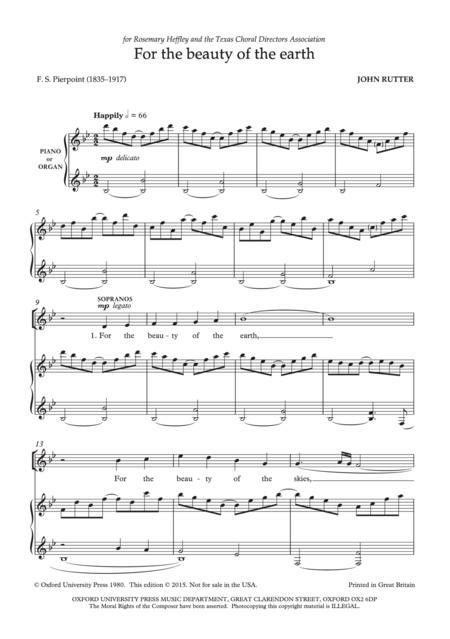 Also available in versions for SA and TTBB voices. 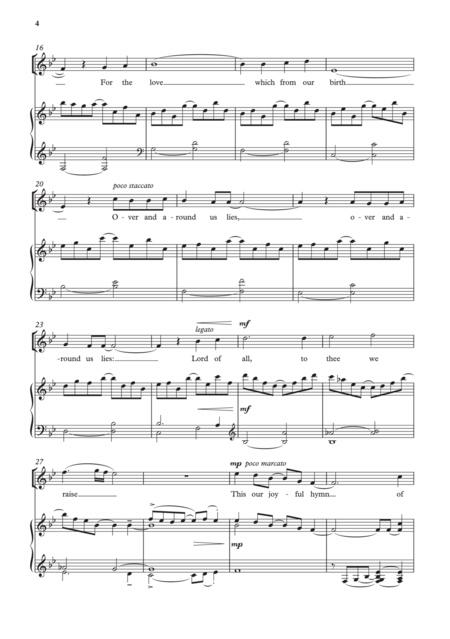 Conductors' scores and instrumental parts are available.